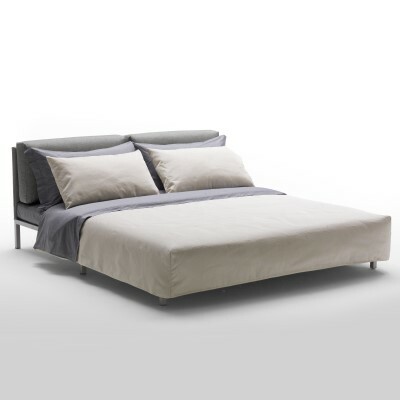 Willy by Milano Bedding is a handy sofa bed with slide-out base with an essential look, high slim feet and a visible embossed metal structure. 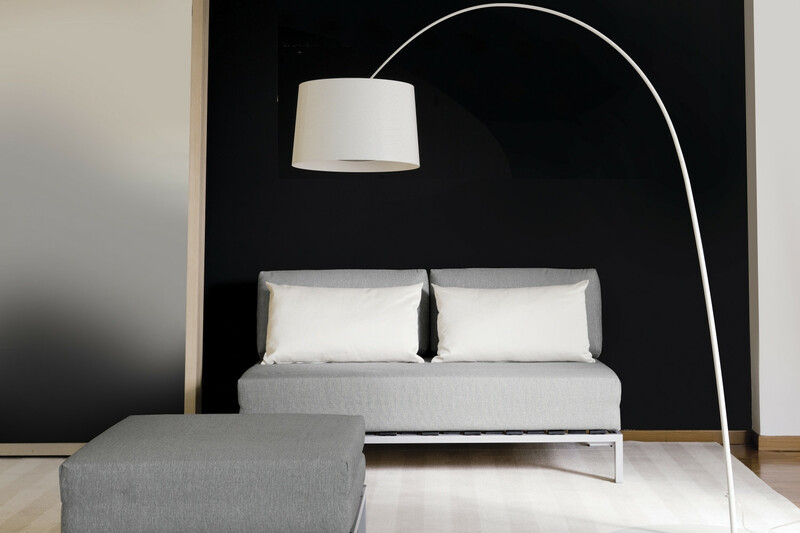 Its modern lines and small dimensions make it suitable to furnish modern and casual flats, guest rooms, and narrow spaces. 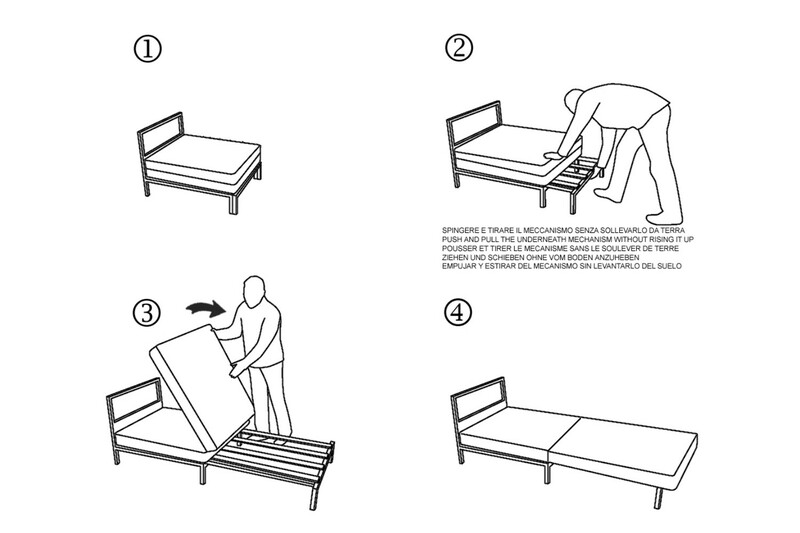 With a 11 cm high mattress, this sofa bed with high structure provides all the comfort and practicality of a folding sofa bed, with an extra feature: unlike a normal folding bed, the bed surface does not coincide with the seat, because the mattress is doubled up, making the sofa and the bed even more comfortable. 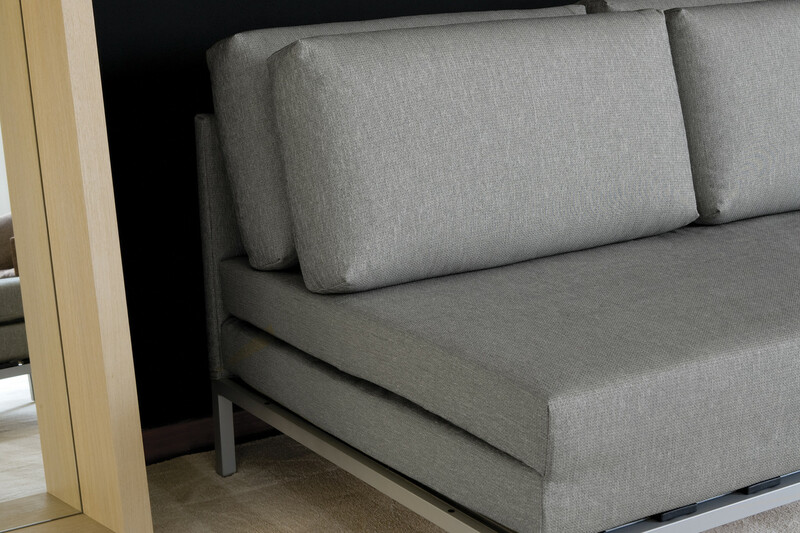 This transformable sofa can be opened in a very easy way: the Lampolet mechanism slides forward allowing to comfortably unfold the mattress. 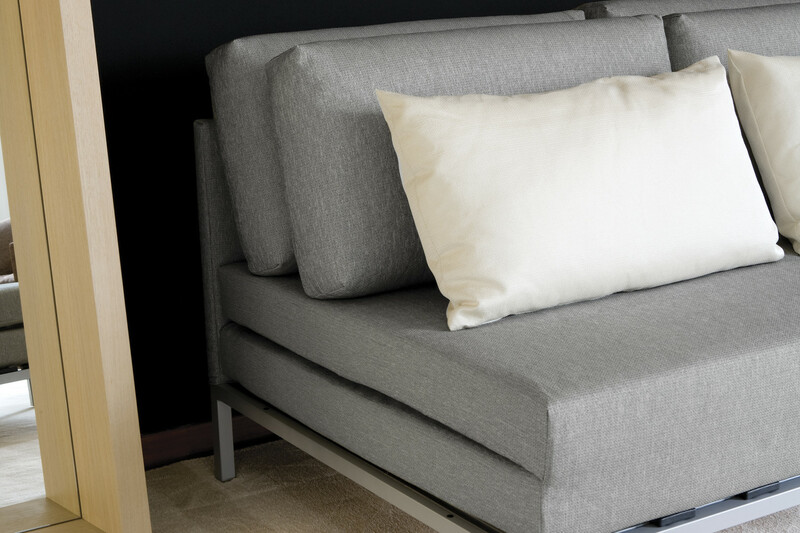 Depending on the space available and the intended use, Willy sofa bed can be completed with armrests and a tray. 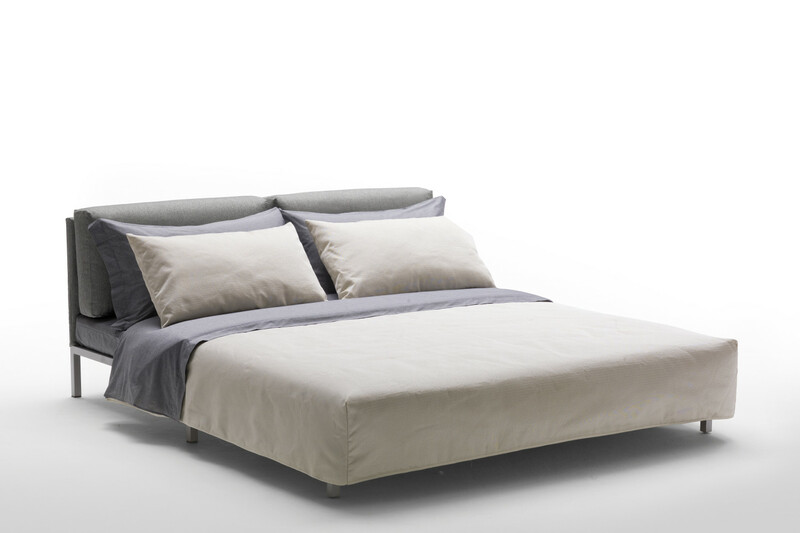 The sofa bed is available in fabric, leather and eco-leather in all the colours displayed in the Milano Bedding samples page. 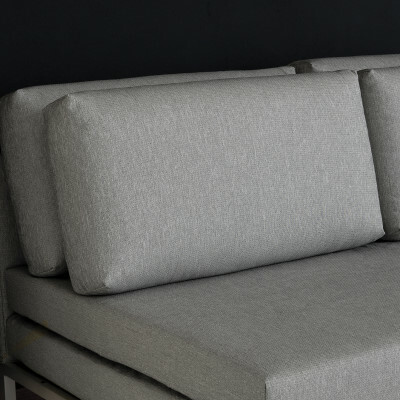 Willy is available without armrests, or with metal armrests and tray that can be combined in several ways and positioned on one or both sides. 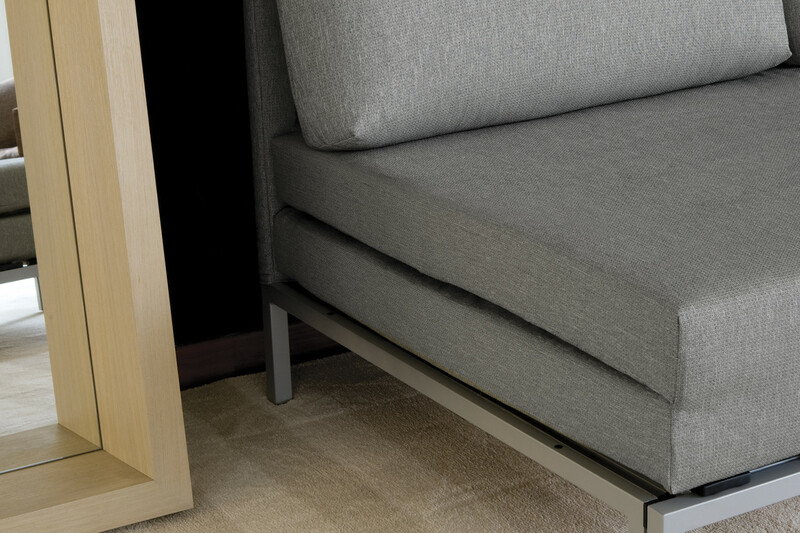 Armchair and sofas are always equipped with a high-resilience polyurethane foam mattress. 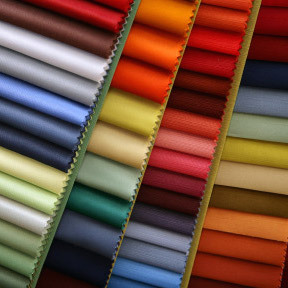 You can find the dimensions available for every model in the dimensions table. 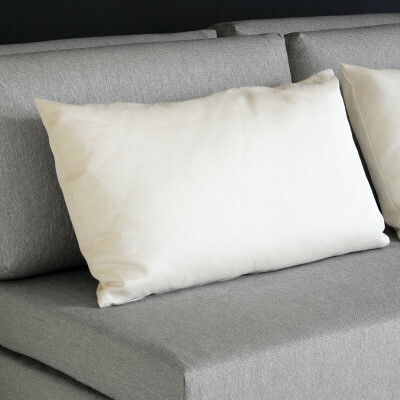 Pillows (optional): Padding: 100% hypoallergenic polyester flock covered with 100% cotton muslin.